So you think you might have bed bugs. Accurately identifying them is half the battle when it comes to the war on these blood-sucking creatures. First, what do they look like? These small, wingless insects are a flattened oval shape, and although they are brownish in color, their bodies tend to redden during and after feeding. Adult bed bugs are about the size of an apple seed, or about 1/4” to 3/8” long, and their tiny eggs are barrel-shaped and white. And despite common belief, the adults do not jump or fly, but crawl. 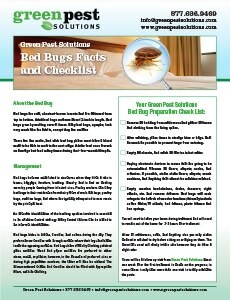 It’s important to note that although bed bugs feed on humans, they do not live on them. These sneaky creatures remain hidden during the day and only search out a host at night when they wish to feed. So it is possible that at night they find you in your bed and take their nibbles, but sneak off long before you wake up in the morning. 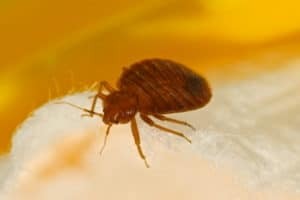 People who have bed bug infestations in their homes often find bites on them the next morning that weren’t there the night before. This is how many bed bug problems are discovered. Probably an easier way to determine if you have bed bugs is to look for their signs. Carefully examine your mattress, under the fitted sheet, and especially along the seams for signs of activity. Look for a cluster of tiny dark spots, brownish or black, in one area—this is their excrement. Upholstered furniture and underneath carpets are other spots where you can often see signs of them. Since hotels tend to be a bed bug hot spot, it is wise to examine your hotel mattress the first moment you enter your room. Make sure to check under the fitted sheets and along the seams of the mattress. If you see any signs that they have inhabited the room, immediately take your luggage and personal items out and report it to the manager.